Where can I use my Lion Card? The Lion Card is the official identification card for Texas A&M University-Commerce; available to students, faculty, staff and others affiliated with the University. 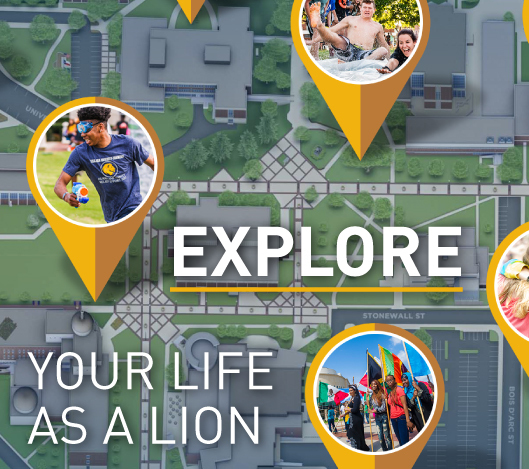 The Lion Card provides access to the Morris Recreation Center, the James Gee Library, print labs and other academic resources; the card also allows students to enter sporting events free or at discount pricing and functions as a debit card accessing prepaid Lion Cash accounts. Lion Cash is a prepaid account that participants can use with ease by simply making a deposit. As you use your Lion Cash, the amount of your purchase is electronically deducted from your account balance. Lion Cash is an optional prepaid account automatically created when a Lion Card is printed. Lion Cash can be used to make purchases at University bookstores, all food service retail and dining locations, library fines, recreation checkouts and rentals, drink and snack vending machines, campus print labs, copy machines, Student Health Services and off campus locations where merchants accept Lion Cash. The Lion Card Office accepts cash, check and credit cards. The Account Management Center kiosks located in James Gee Library and Sam Rayburn Student Center are self-serve walk ups. At these locations, you can add value with cash or credit card and check your Lion Cash account balance anytime. Additionally, the Financial Services - Cashier’s office in the McDowell Business Administration building also has the ability to accept deposits in the form of cash, check and credit card. Web Deposits can be made at Add Lion Cash. This online process accepts credit cards and allows parents, spouses, or others to add value to accounts.